Sleeve mesh is composed of nylon weaved into a strong diamond pattern. It can be used to protect machine threads and external surfaces. 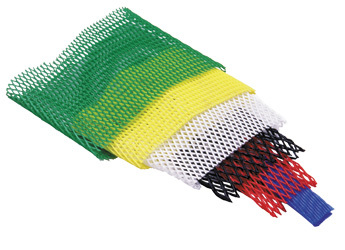 Sleeve mesh stretches to fit over irregular parts, and comes in a variety of thicknesses and mesh spacing’s. Sleeve mesh does not protect against environmental damage.